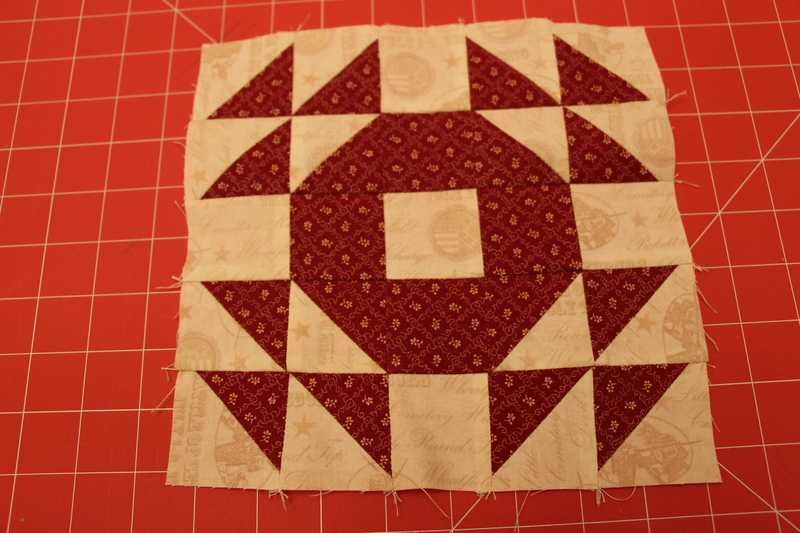 As I continued to make quilt blocks for my Old Glory Fourth of July quilt I traded out a few blocks for others that I felt worked better with the personality of the quilt. This particular block I found on Pinterest. 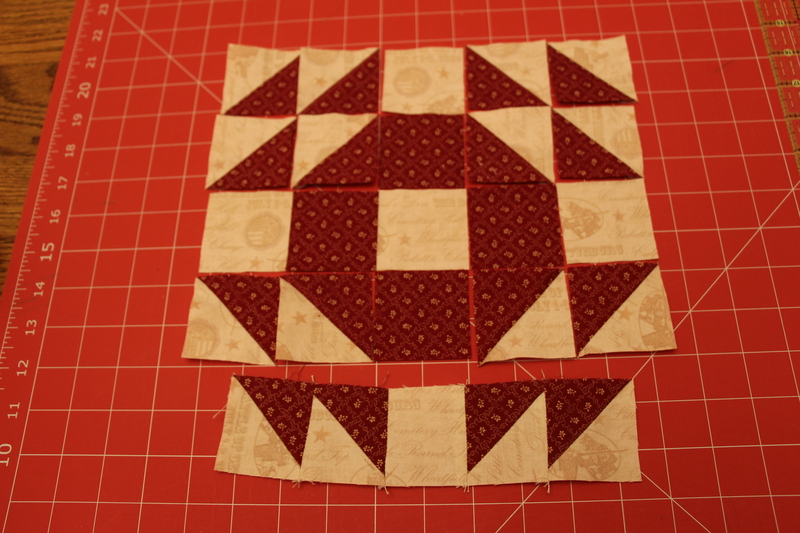 You can see a whole quilt made with this block here, it’s stunning! Note: These measurements are for an 8″ block. Sew using a scant 1/4″ seam allowance. 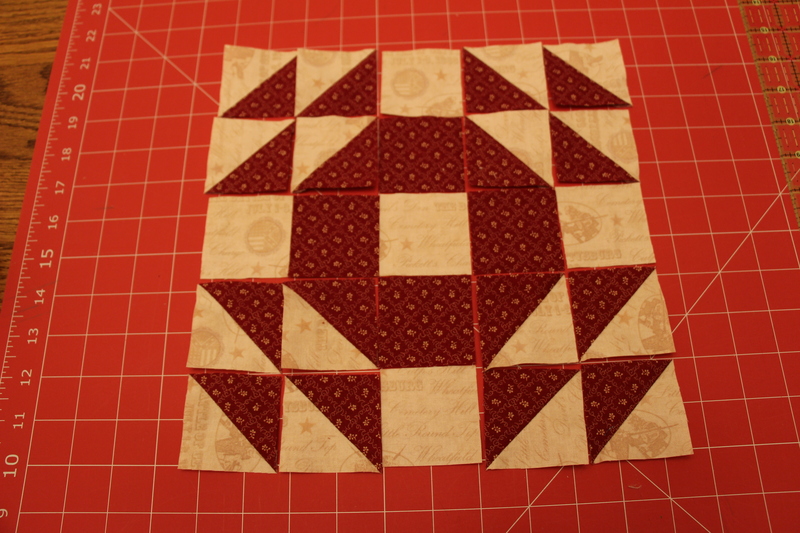 Use the 8 squares of 2 3/4″ red and white to create 16 Half Square Triangles (HSTs) trimmed down to 2 1/8″. 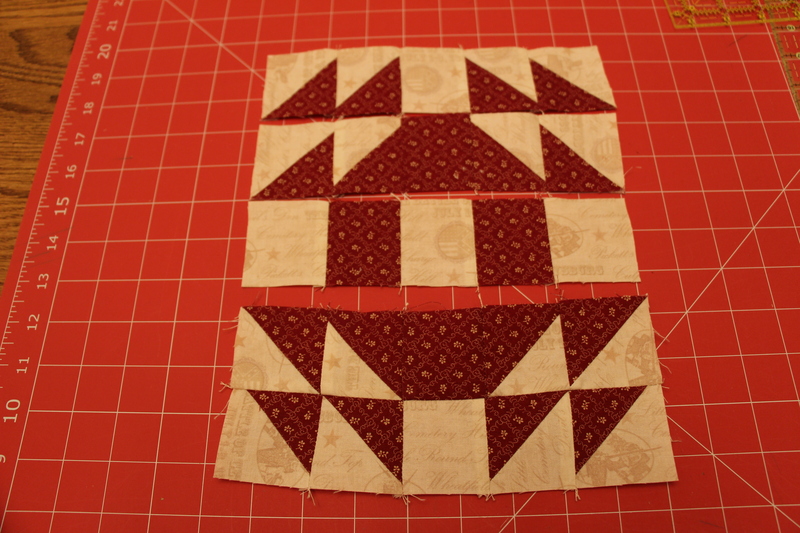 Click here for my tutorial on how to make Half Square Triangles.